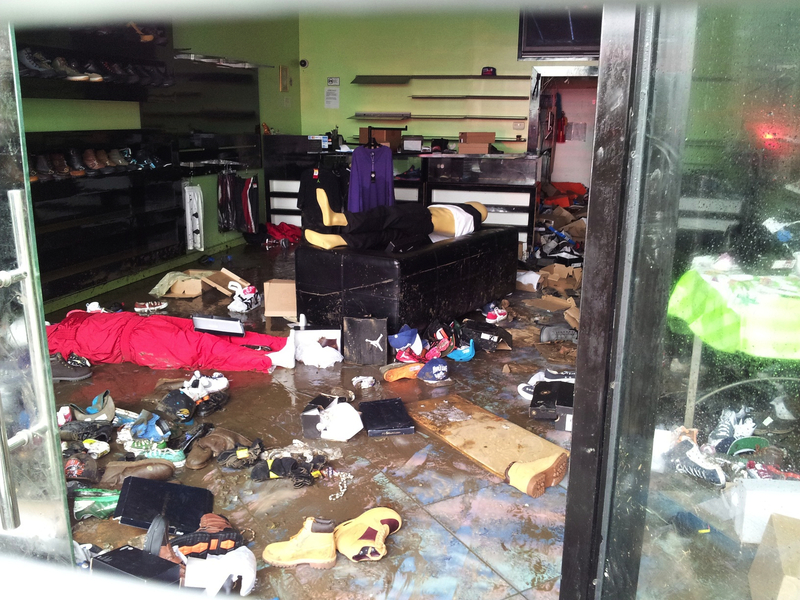 "This shoe store on Rockaway Beach Blvd. got looted Tuesday morning, while everyone else was cleaning up and checking on loved ones. They mostly took sneakers and clothes, but when I went by on Wednesday there was a certain NHL team hat on the floor. 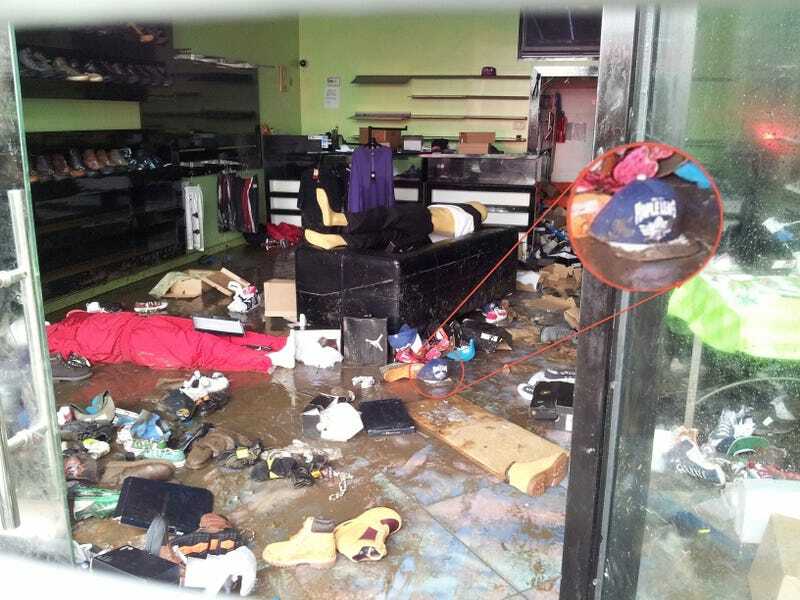 Not even looters want Leafs stuff." Dirty, unwanted, forgotten. The Toronto Maple Leafs. Update: There's a Jaguars cap left behind too, over toward the left.